Your donation to JPFO will help greatly to preserve your right to keep and bear arms and destroy ''gun control'' in America. Following the Tribute to Aaron Zelman on the JPFO web site, we present this dedicated donations page. Select your donation amount by adding to the 'quantity' box from our base amount of $10. 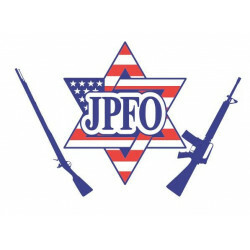 JPFO appreciates all contributions, essential towards helping it educate and maintain a continued and aggressive fight. Donations are tax deductible under IRS Code Section 501(c)(3) as a non-profit educational organization.